Your recovery isn’t complete, but you don’t need the long-term care of a nursing home. You’re ready to face new challenges, but you can’t face them alone. Welcome to Interlude™ Restorative Suites. On the way to regaining your independence, give yourself a nurturing place to heal your body and your state of mind at the same time, after leaving the hospital. Give yourself transitional care that offers more. Give yourself more comfort, more privacy and more personal care. Come to Interlude to recover, refresh, and renew. 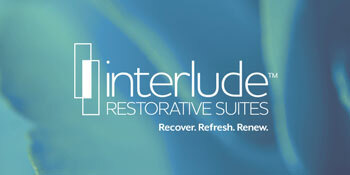 Interlude™ Restorative Suites is a new, holistic kind of transitional care. Interlude offers guests a truly upscale, soothing environment with superior clinically integrated care, in-patient rehabilitation, and guest-focused hospitality for the body and mind alike. 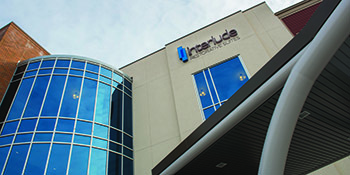 You’ll find Interlude™ Restorative Suites on two medical campuses in the Twin Cities metro area. 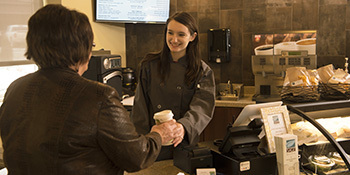 Read more about the Fridley and Plymouth locations. I have been perfectly happy here. I have seen an improvement in my physical and emotional state.